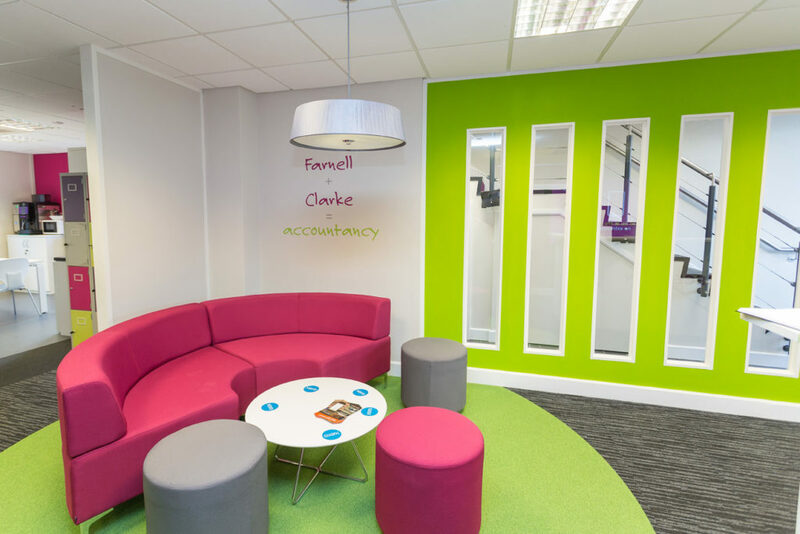 "At Farnell Clarke we wanted our office to reflect our approach to accountancy and the way we work. From day one Bluespace offered great ideas to help us achieve this, and were really flexible to ensure the designs included our own suggestions and personality. I was impressed by the way that the Bluespace team worked to our budget, while always maintaining a high standard of finish and quality. 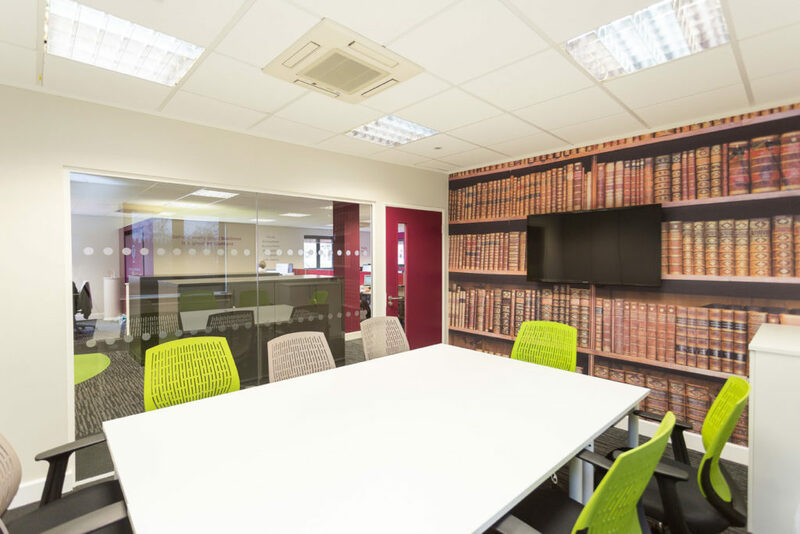 Our timescale for completion was tight, and the fit out works had to be carried out around a busy office, but we were pleased with the way everything was handled, with great communication from the team, and with the project being delivered on time. 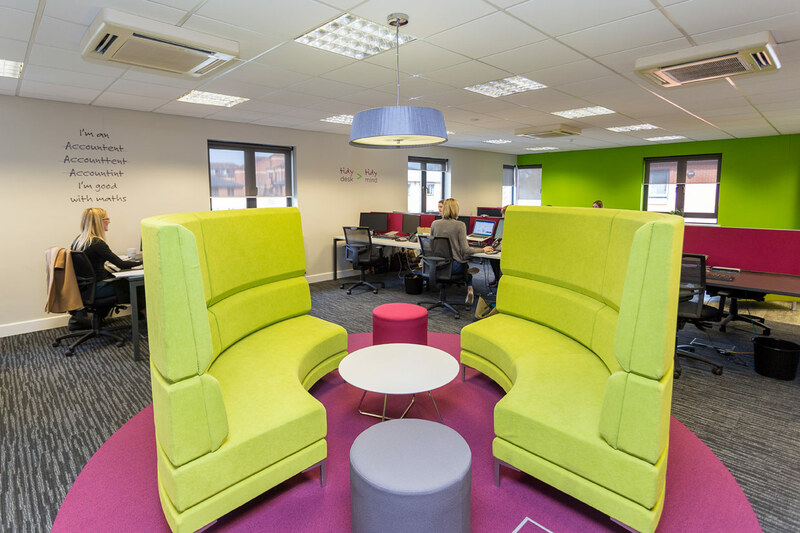 Overall we are delighted with the finished product, and I would happily recommend Bluespace in the future." 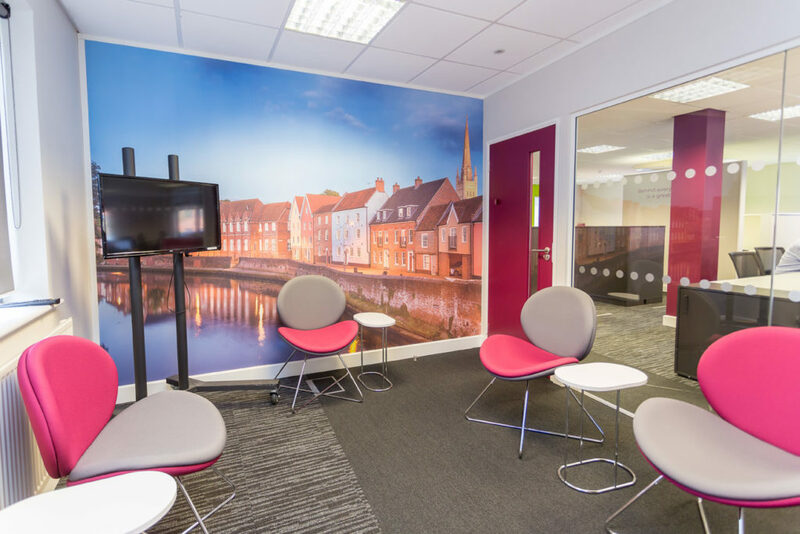 Farnell Clarke is an accountancy firm in Norwich that prides itself on providing a personable, simple, effective accountancy with a focus on breaking the traditional stereotypes of accountants, such as intimidating receptions and boring meeting rooms. 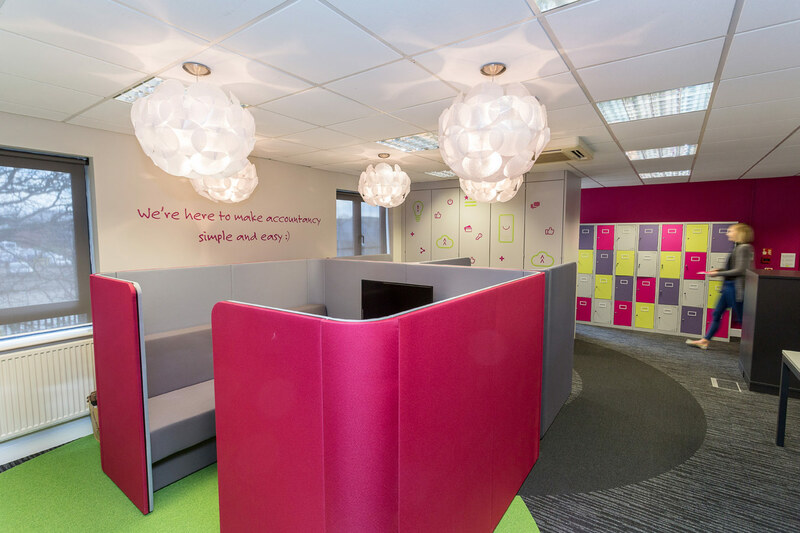 In the spirit of breaking with tradition, Farnell Clarke asked us to design a bold space with a ‘feature’. 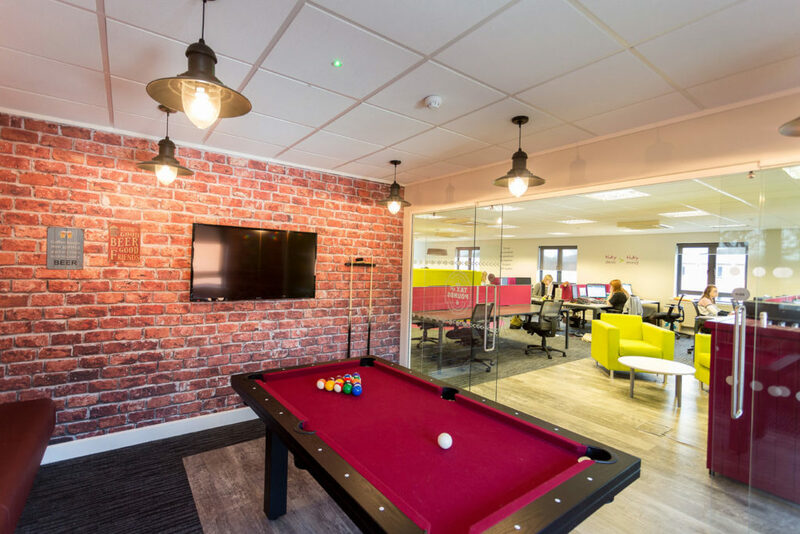 We discussed a number of options as to what this feature may be, including an adult treehouse within the office and we ultimately agreed on an office pub which would create a uniquely familiar break out space for employees, as well as a casual meeting space for clients. 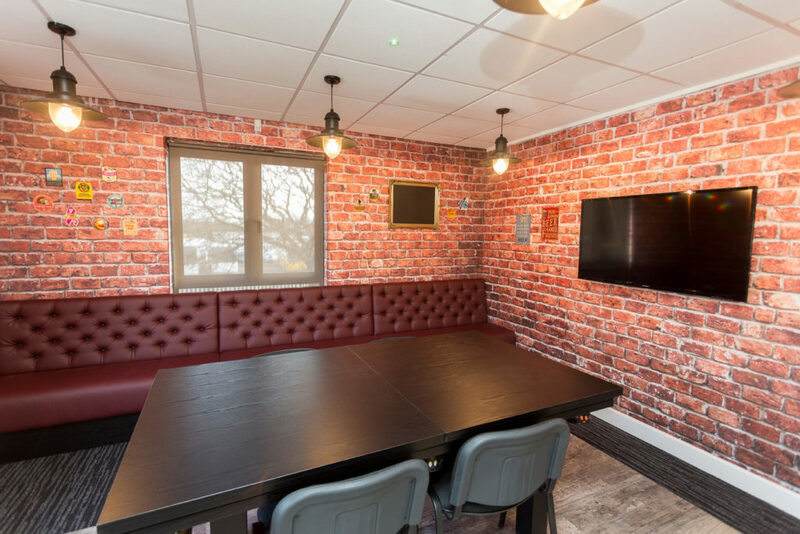 The pub has been highly publicised in local press and is highly coveted by local businesses! 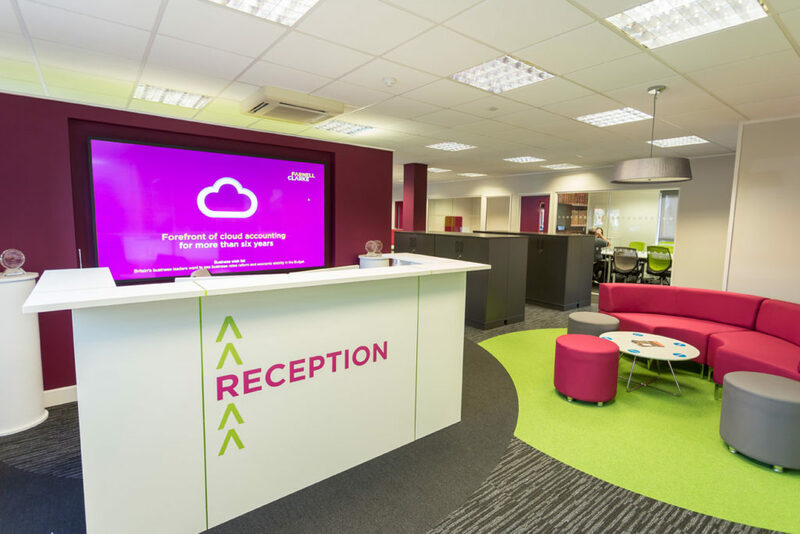 Within the working space, we have used the bold green and pink from Farnell Clarke’s branding to create a vibrant, inspirational workplace. 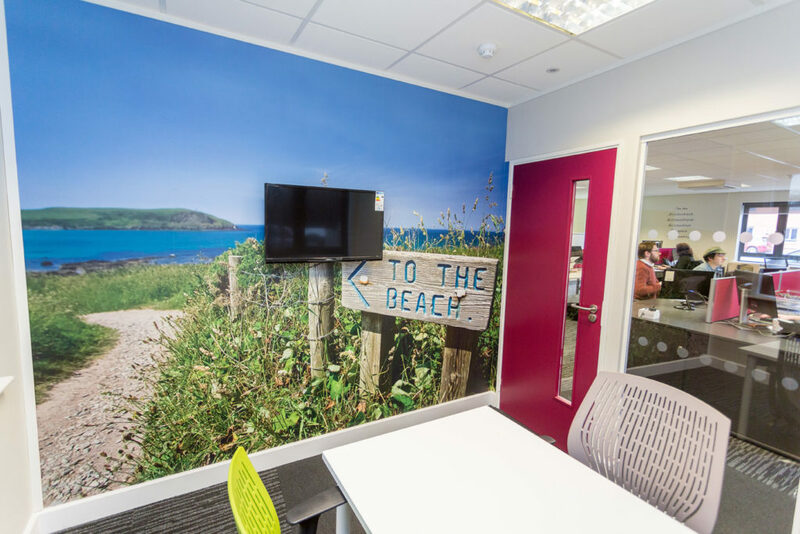 Office cocoons and high backed sofas create private meeting space in the open plan office and wall art with landscape from across the county brings a fresh open look to their meeting rooms. 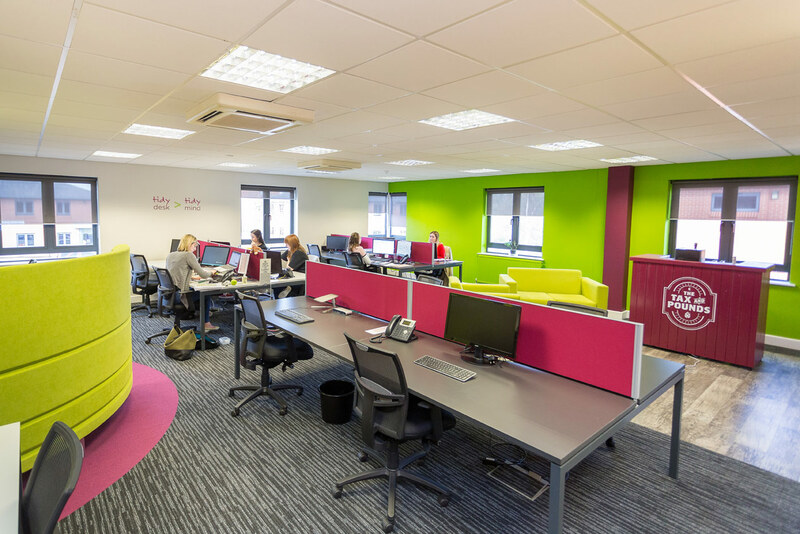 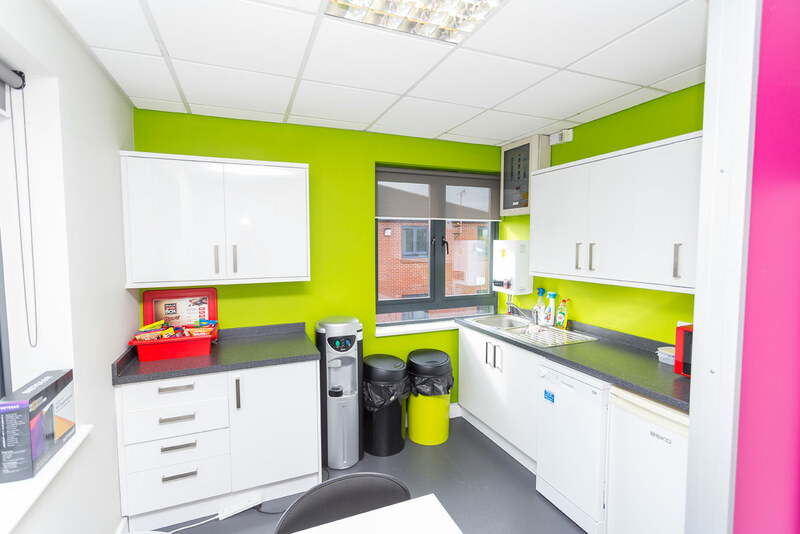 The addition of colourful lockers not only adds another layer of colour to bring out the fun nature of the team, but also removes the need for under desk storage which creates a cleaner, more open and simplistic finish to the workstations. 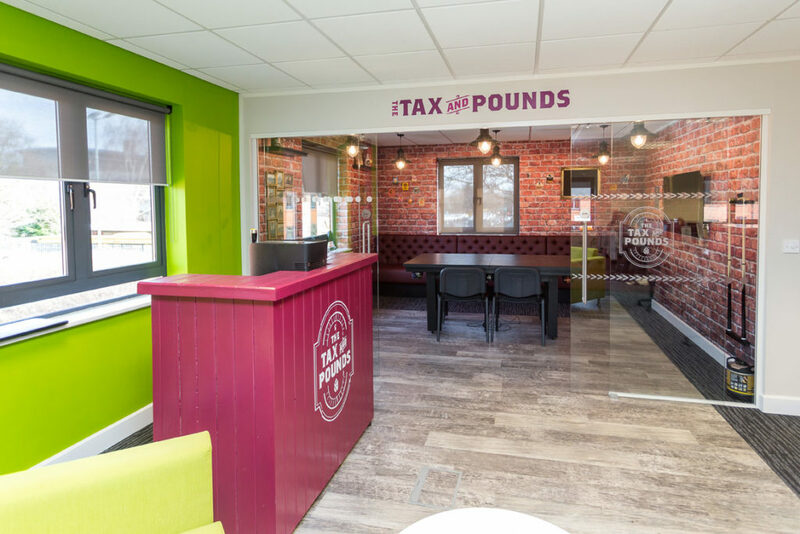 Farnell Clarke are over the moon with their new office fit out, including their new pub, The Tax & Pounds.